Your entire skeleton is connected by ligaments, cartilage and tendons. They are what make your joints work. But sometimes these tissues can become damaged or wear out over time. That can cause discomfort when you move around or put pressure on certain areas. The ingredients found in InflaMed have been chosen to nourish your connective tissue - potentially helping your body repair it and restore joint health. 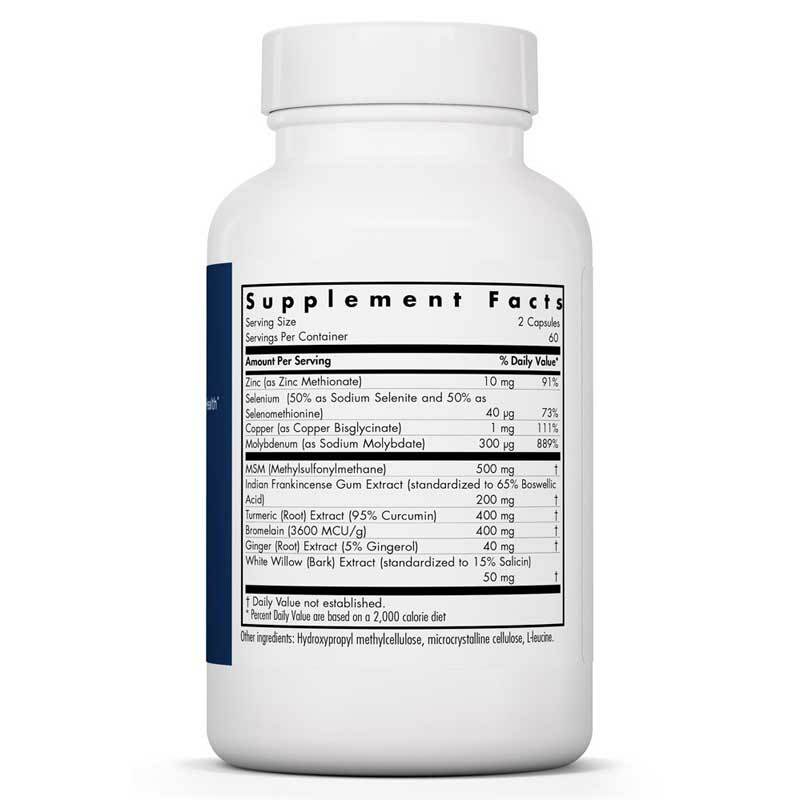 Because the nutrients needed for connective tissue repair may not be easily obtained through a typical diet, supplementation could be a smart move. The pain and swelling. The achiness and inability to move like you used to. Instead of covering up the symptoms, consider a product that could help your body repair itself. 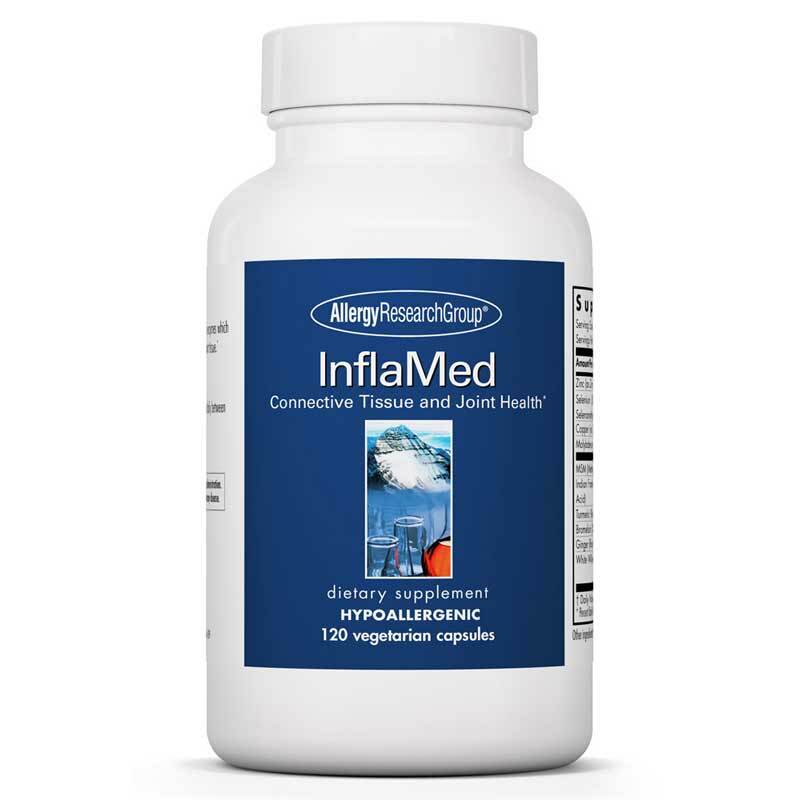 Choose InflaMed from Allergy Research Group today. Discover relief from discomfort through good nutrition. 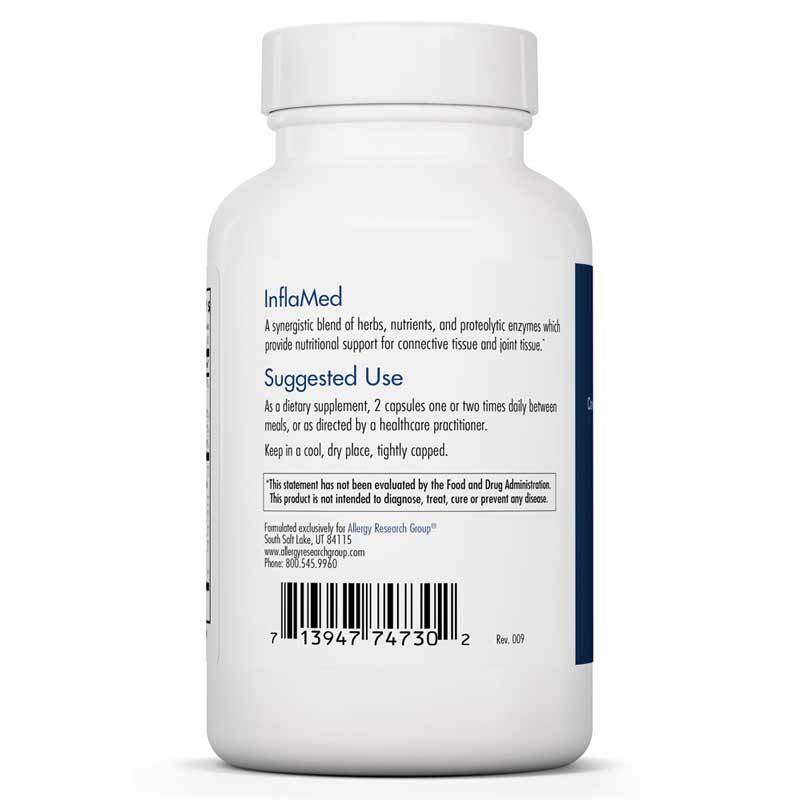 Adults: As a dietary supplement, 2 capsules one or two times daily between meals, or as directed by a healthcare practitioner.